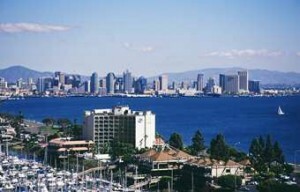 The Port of San Diego recently launched its first ever Green Business Challenge. The program, launched through the Green Port Program, aims to increase the energy efficiency of businesses around the Bay and reduce environmental impacts. The ultimate goal of the Green Port Program is to achieve long-term environmental, societal and economic benefits through resource conservation, waste reduction and pollution prevention. So far, nearly 60 businesses are participating including the USS Midway Museum, San Diego International Airport and General Dynamics NASSCO. Additionally, the hotels on the Port’s property are already making great strides in their efforts to reduce waste. 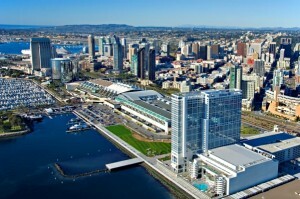 San Diego Marriott Marquis & Marina: recently installed energy-efficient lighting in its front drive, lobby, pool area, guest rooms, and meeting space. In all, the project has saved the hotel 130,000 kWh per year. Hilton San Diego Aiport:Retrofitted all exit signs to LED lights and vending misers for vending machines. Recycled paper is used for toilet paper as well as copy paper. 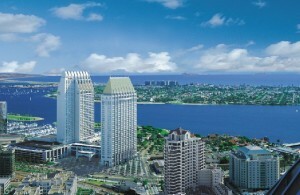 Hilton San Diego Bayfront: They recycle both commingled commodities recycling and food waste in conjunction with the City of San Diego with an overall diversion goal of 75%. Manchester Grand Hyatt:The Hyatt installed low flow faucets as well as utilizes solar heat for their pools and are in the process of purchasing a composting unit to compost on their property. 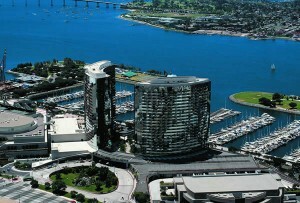 Sheraton San Diego Hotel & Marina:The hotel utilizes fuel cell energy and composts food waste on the property. 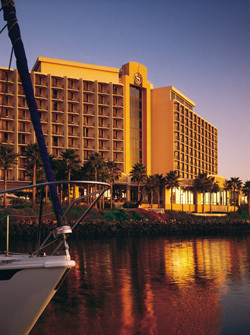 Additionally, the Sheraton recently finished a lighting audit and completed a retro-commissioning of the HVAC system. Be sure to check out the Port’s Green Business Challenge website for more information on all businesses participating. This entry was posted in Hotels & Places to Stay and tagged bay, bayfront, green, green business challenge, hilton, hotel, hotels, manchester, port of san diego, san diego bay, sheraton, sustainable by Suzzanne. Bookmark the permalink.